The controversial Evo Morales was recently elected to his third term as president in the South American nation of Bolivia. His reforms and socialist leanings have long made him a figure of ridicule in much of the world media, but many of his successes demonstrate that a lot of the criticisms that are leveled at Morales have little foundation in practical reasoning. For many of the media outlets in the West – especially in the United States – analysts want to paint his success at winning a third term as largely the result of his populist and anti-American/anti-corporate rhetoric. 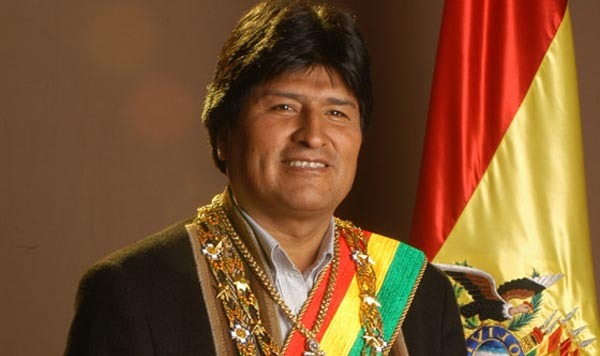 While it is true that he has been an outspoken critic of the United States, it is hard to dispute the facts that demonstrate an improvement in the lives of the average Bolivian citizen. With Morales at the Helm, poverty has been reduced by 25% and those living in conditions defined as extreme poverty have decreased by 43%. The real minimum wage in the nation has increased by close to 90% and social spending has increased by 45%. While life is still hard for the majority of Bolivians, these numbers show a real practical improvement in the lives of the citizens and a remarkable state of progress in regard to financial equality. Even with all of these improvements, Bolivia is a nation that still suffers from a range of different social problems. Most of the people do still live in a state of poverty and Morales has been criticized for lowering the legal working age to 10-years old. However, many fail to realize that this step was taken to extend legal protection to children that were already working illegally. It is true that Morales does not have a perfect record for his time as president, but you cannot deny the many ways in which he has improved the lives of his people. Under Morales, the Bolivian economy has seen one of its greatest periods of growth and this puts the lie to the claim that his socialist policies would slow growth and damage the economy.